User’s privacy is now available for purchase, which is available in a smartphone. Blackphone, a “security-enhanced Android build” smartphone running PrivatOS, has been called spy-proof which means it has the ability to prevent intelligence organizations, such as the National Security Agency. This smartphone users will be able to make calls, send texts, videos and chats securely, as well as transfer files and browse the Internet through a secure virtual private network. All the pre-orders for the device began in February 2014 and the device is now shipping those orders to its customers. Blackphone is an effort by partnership between Madrid company Geeksphone and Silent Circle, an encrypted communications service provider. The phone features a 4.7-inch display, quad-core 2GHz processor, 1GB of RAM and a 2,000 mAh battery. Interest people can click here to book the smartphone. 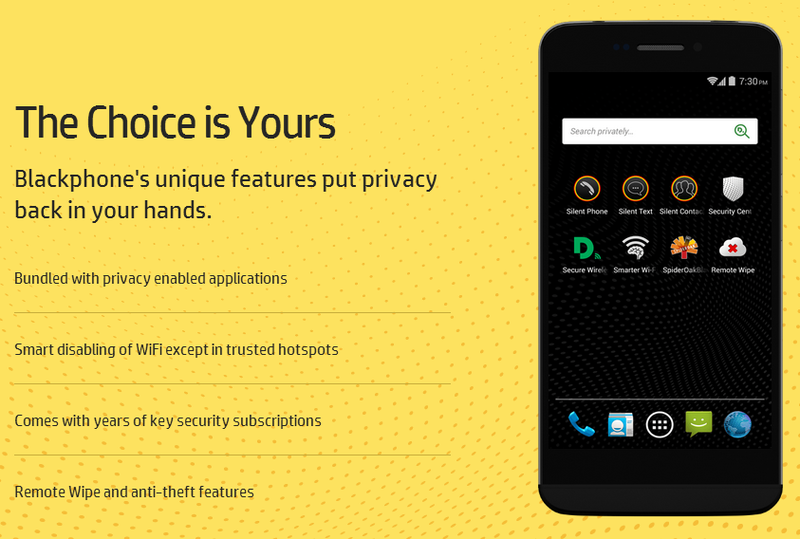 Blackphone is available as unlocked and features a number of pre-installed privacy tools, which are enabled for at least two years of use. These tools include the Silent Circle suite of applications such as Silent Phone, Silent Text and Silent Contacts; anonymous search, private browsing, and VPN from Disconnect; and secure cloud file storage from SpiderOak. If you want to view the applications then click here.